The once-humble Honda Civic has been a mainstay of the carmaker's lineup in the United States for nearly 40 years. But never before has it been so aspirational inside, outside, and underneath. 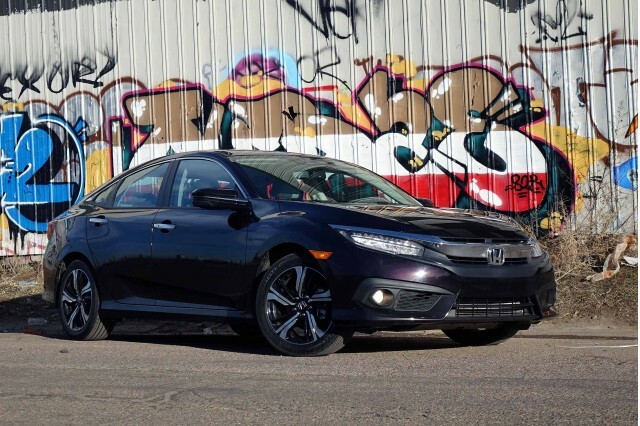 This year, the Civic's makeover was intense, to say the least. 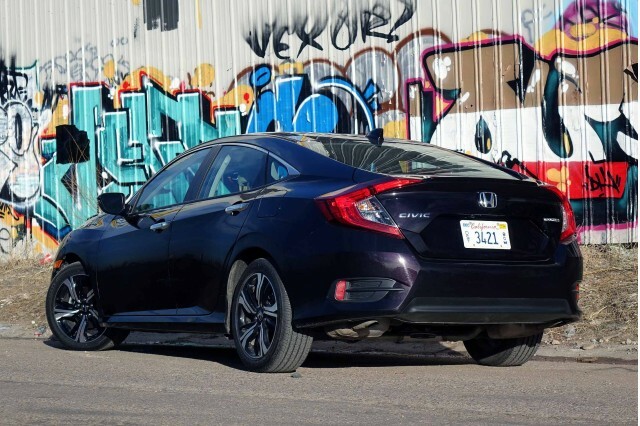 Shedding its ugly duckling looks for a chic, Honda Insight-inspired fastback shape, the latest 2016 Civic has grown up and gotten larger--except in the engine compartment. Gone, at least for now, is last year's Civic Hybrid and its combined 45-mpg EPA rating. 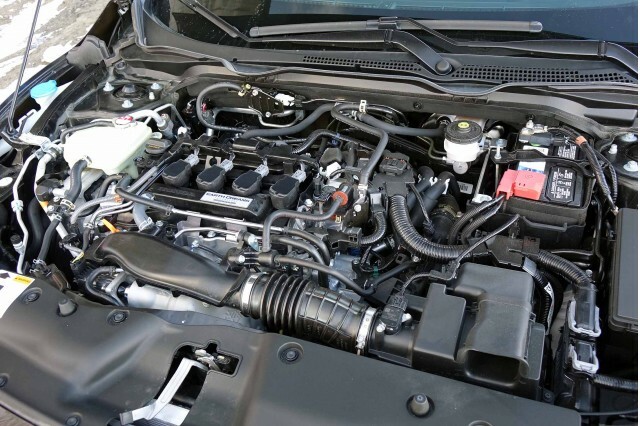 For 2016, the Honda Civic offers a choice of engines: a 2.0-liter four-cylinder in LX and EX models and a 1.5-liter turbocharged four-cylinder in the more upmarket EX-T, EX-L, and Touring trims. 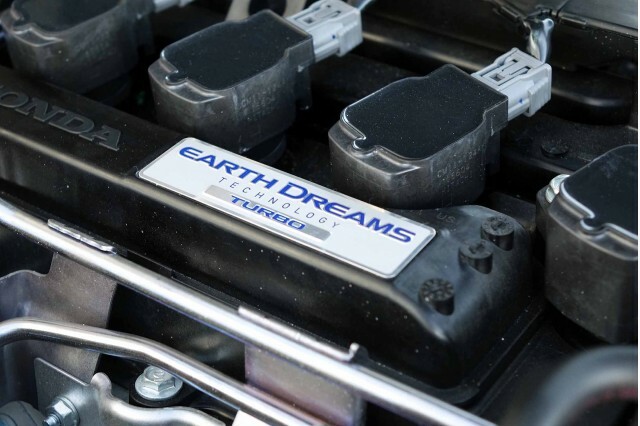 The turbo, part of the brand's Earth Dreams lineup, is a new engine for Honda. In the Civic, it is rated at 174 horsepower at 6,000 rpm and 162 pound-feet of torque spread between 1,700 and 5,500 rpm. For now, only a CVT is on offer, but an upcoming 6-speed manual transmission is one of the industry's worst-kept secrets. The EPA pegs the turbocharged Civic at 35 mpg combined (31 mpg city, 42 mpg highway). By contrast, the less-powerful 2.0-liter base engine is rated the same in the city and combined, but slips to 41 mpg highway. Our time in a Civic Touring was a healthy mix of urban, suburban, highway, and mountain driving. Overall, we fell short of the 35-mpg combined figure in the EPA ratings. Our mixed driving achieved 33.7 mpg during a 300 mile week. Around town, we never matched the promised 31 mpg. The trip computer registered 28.5 mpg even in Eco mode. We suspect this was because the Civic requires a decent stab at the skinny pedal to access its torque curve. Things got better on the highway. Gentle driving with little variation in elevation netted readings upwards of 43 mpg. Moreover, the Civic is as quiet as cars costing significantly more, with only a hint of wind noise and tire roar penetrating the cabin. Mountain driving, where, once again, the turbocharger spooled up, saw that figure plummet to 31.7 mpg. At $27,335 including destination, our Civic Touring test car was on the expensive side for a high-volume compact sedan--but that term may be relative. In typical Honda fashion, the Civic sedan we drove doesn't offer any options other than paint color (Burgundy Night Pearl seen here). With a 106.3-inch wheelbase and a body that stretches 182.3 inches from head-to-toe, the latest Civic would have been classified as a midsize sedan 15 years ago. 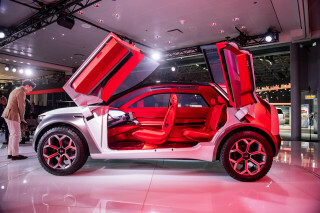 Certainly its interior is a class above, not only in terms of equipment but roominess. Three abreast in the rear seat is achievable thanks to Honda's traditionally superb packaging. The five-door Civic hatchback that's on the way will undoubtedly best the sedan's 14.7 cubic feet of cargo space. If you skip the Touring, with its trunk-mounted subwoofer, the rated trunk space grows to 15.1 cubic feet. Bordering on luxury car status, the Civic Touring includes power front seats, heated seats all around, and leather that wouldn't be out of place in an Acura. It also includes Honda's latest Honda Sensing infotainment with Apple CarPlay and a 450-watt audio system. Honda is no longer stingy with equipment, to say the least. On the safety front, the Civic Touring adds adaptive cruise control, lane keeping assist, and a blind-spot display that pops up in the central screen whenever the right turn signal is activated. Kvetches are minor: A pocket behind the driver's seat would be nice, as would tuning and volume knobs for the audio system. Oddly, only the front seats are perforated, which makes the smooth back-seat leather surface seem like an oversight.